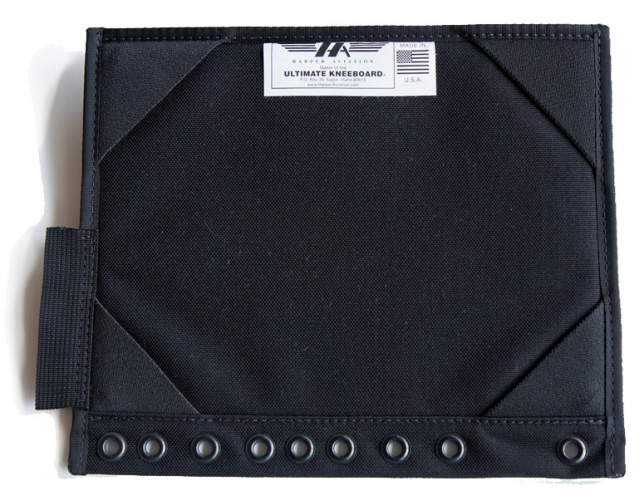 Apple iPad Air Holder for the 7 Ring Ultimate Pilots Kneeboard. Designed to fit all models of the iPad Air. The Ultimate Kneeboard iPad Air holder is made from the same durable materials as the Ultimate Kneeboard 7 Ring Helicopter Pilot Kneeboard.